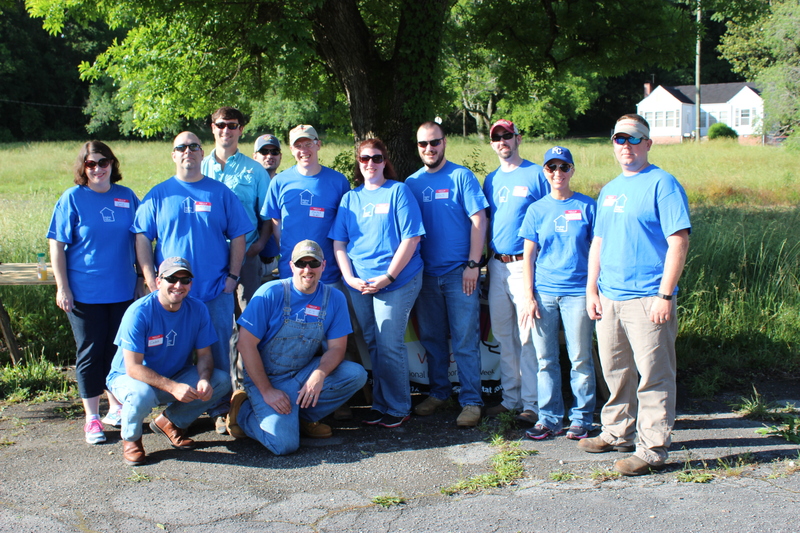 On May 13, some of the Doster employees volunteered with Habitat For Humanity Greater Birmingham. They worked on re-roofing the home, repairing a rear deck, and removing and replacing old rails and stairs. Each year, more than 15,000 volunteers donate their time to build and renovate houses and support their ReStore operations. The gift of time saves an estimated $1 million in labor costs each year! Thank you to those who volunteered! About Habitat for Humanity As one of 1,500 affiliates of Habitat for Humanity International, the Greater Birmingham Habitat for Humanity works in the Greater Birmingham area to bring generous donors and hardworking volunteers together with qualified, working families. The result is dramatic, positive differences in the lives of family members and in neighborhoods. Habitat for Humanity constructs quality houses that are sold to home buyer families through no-profit, no-interest loans. Home buyers complete 300 sweat-equity hours and other requirements, pay for their homes and all upkeep, and maintain current payments on their properties.